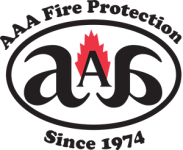 For quality and dependable fire sprinkler services, San Mateo businesses rely on AAA Fire Protection Services for all their fire protection and fire suppression needs. As an industry leader with over 40 years of experience, we have an expert team that helps San Mateo businesses remain in compliance with local, state and federal fire protection protocols. Our fire sprinkler services are designed to help businesses find an affordable way to increase their fire protection while decreasing the risk of fire and decreasing the damage that fires cause if they do break out. We start with quality fire sprinkler installation, which includes custom design units for specific businesses and industries. Further, we offer fire sprinklers inspections, which also includes fire sprinkler repairs. Because we understand the fire protection industry like few others do, we happily work with architects and designers to create affordable and comprehensive fire sprinkler systems for new building projects and for renovations. For more information about our professional services, just give us a call at (800) 543-5556.